Vehicle Mode: The biggest problem this toy has is that it is so closely based on the original toy. 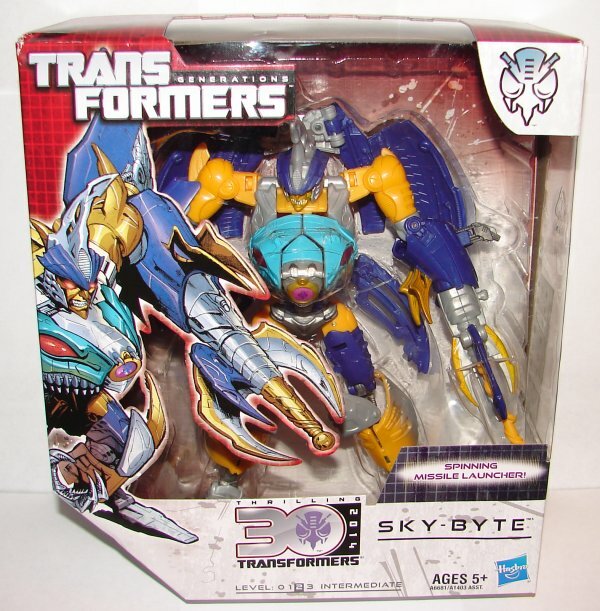 Sky-Byte was a Robots in Disguise repaint of Beast Wars Transmetal 2 Cybershark. That toy was awful. 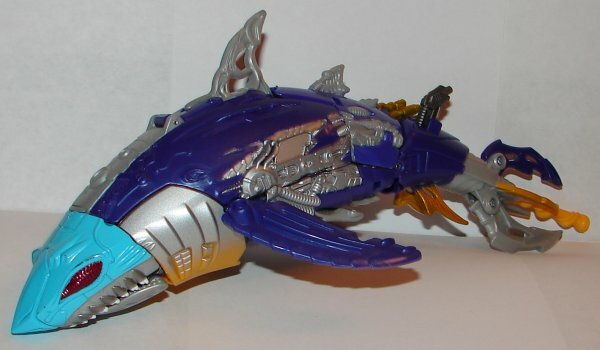 It’s transformation was terrible, more often than not it was easier to pull off the large plates that form the shark’s body and put them back on than try to fully transform him. 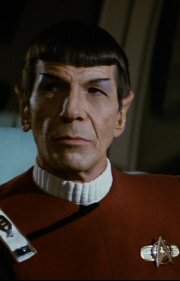 So, what do they do in creating an homage to him? They make the same toy. His transformation is very similar to the original, and he’s nearly as hard to transform. Not to mention, it looks stupid that when you place him on a surface he’s essentially doing a face plant. They should have made him a shark that was swimming straight rather than twisting. This toy is terribly disappointing, because it si way too accurate. Robot Mode: His robot mode really does nothing for me. The head sculpt is a lot like the original and looks okay. I don’t like his huge left arm. The only thing I like is the shark’s nose that spins around to give him a chest that looks better than the shark’s head. Overall: Only for completists or fans of the character. 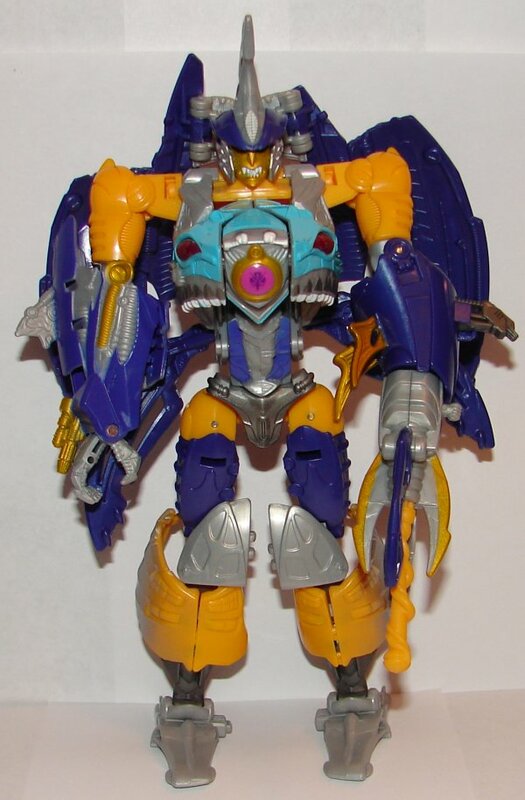 This entry was posted in Toy Reviews, Toys, Transformers and tagged Generations, Sky-Byte, Toys, Transformers. Bookmark the permalink.